“Selling sheep for rearing to other farmers is more profitable for the breeders. Since five years of farm establishment I have not sold a single adult sheep for meat instead sell it to other farmers for rearing. 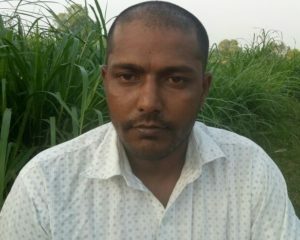 I also use its manure for growing different crops and yield has increased remarkably,” insists Mr. Naveen. He rears three sheep breeds in his 6 acre farm. These are Sira, Bandur and Kirugavalu. At present the herd size is 620, Sira breed 60, Bandur breed 300, Kirugavalu 200 and 60 male sheep. His farm is located at Maragowdanahalli, Mandya taluk, Karnataka. It was started in 2013. He took Rs. 6 lakh subsidy from Karnataka government for the farm set up. The farm has scientifically well developed shed, “We have separate sections for post partum, pregnant sheep, kids, male sheep, unhealthy sheep etc,” he adds. Sheep are allowed to move freely in the farm however they are taken outdoors for 2hours to ensure some physical activity. Fodder given is subabul, horse masala, drumstick leaves, neem leaves, ceeme grass etc. Dry grass of paddy and ragi is also given to the sheep. All the fodder is grown in-house organically using sheep manure. “We give sileage between 8 AM- 1 PM followed by green fodder. In the evening grains like sweet corn, broken rice grains, horse grams are given in the tray. The shed has 24/7 water facility,” he elaborates on fodder management. Usually 2 kg is fodder consumption of each sheep. Post delivery the sheep is fed with a special diet of sprouts of tur, horsegram, green grams for 10-15days. He recommends horse masala green as it is one of the best energy food for sheep and it is easy to grow. This particular grass can be harvested weekly. Sheep breeding is done through natural mating. “We have good male for crossing. These male sheep are reared well with good feed. To avoid inbreeding all animals are tagged and detailed documentation is maintained,” he asserts. The male sheep are also changed once in 2-3 years with other breeding farms. Mr. Naveen doesn’t sell sheep for meat instead he sells his herd to other farmers for rearing. “A pair of adult sheep is sold at Rs. 8, 000/pair. Also we sell 3-3.5months old kids weighing 9-10kgs. So far we are able to attain farm sustenance by selling adult and kid sheep to other farmers and not for meat. By God’s grace people come to the farm and book for 30kids in advance too. We rear these kids separately and call the buyers after the kids are 3months old,” he affirms. In future he wants to start a training center for other farmers on sheep rearing. “Along with the meat sheep can also be reared for manure, for example when give bath to the animals we cut its fur. This fur is also used as manure that improves the crop yield. I want to expand my operations so that farmers can have the access to the good health adult and kid,” he shares.